Cybercriminals are using mobile devices to avoid detection and execute a number of nefarious acts, according to a new report. The study from bot mitigation specialist Distil Networks finds 5.8 percent -- around one in 17 -- of all mobile devices across six major cellular networks are used in such automated attacks and represent eight percent of all bad bot traffic. 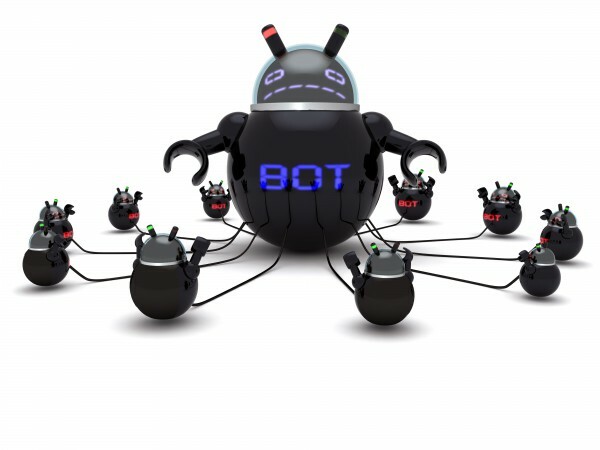 The bad bot traffic is deployed against businesses with a web presence, to carry out acts that include web scraping, brute force attacks, competitive data mining, online fraud, account hijacking, data theft, spam and digital ad fraud. Distil sampled over a million devices and found that infected mobiles were averaging 50 bad bot attacks per device each day. "Mobile is the new frontier for bot operators, as they can perform highly advanced attacks while remaining hidden in plain sight," says Rami Essaid, co-founder and chief product and strategy officer at Distil Networks. "Whether inadvertently downloaded through an email attachment, or embedded in a seemingly legitimate app, millions of consumers unknowingly carry malware on their devices that allows cybercriminals to conduct bot attacks, abuse and fraud. We have seen bot operators develop and enhance their techniques throughout the years, but the threat to mobile devices is real and growing, and can have detrimental consequences." The full report is available from the Distil website and there's a summary of the findings in the infographic below.